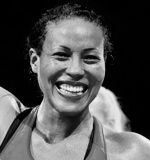 Norwegian boxing star Cecilia Brækhus made history over the weekend by winning her 26th professional match in a row against Ivana Habazin of Croatia in Denmark. Brækhus still can’t box in Norway, though, and there were other frustrations after her victory was secured. Brækhus, from a country where professional boxing is banned, has gone on to become a world champion and now has four championship belts in the welter-weight class. Not only did she once again have to box in a ring outside her homeland, though, she also wishes her matches could be broadcast on an open TV channel. “The most important thing for me is to share my experiences with the most people possible,” Brækhus told newspaper VG. Norwegian viewers had to pay NOK 299 to watch her on Viaplay or Viasat Parabol instead of on the free Viasat 4, where her matches were shown earlier.